David Beckham spent five seasons in Major League Soccer, playing for the LA Galaxy where he won two MLS Cup trophies. The former England international now intends to return to U.S. soccer once again as part of an ownership group that will bring top-tier soccer back to Miami, Florida. The Miami Fusion were the city’s last MLS team, operating from 1997 to 2001, winning the MLS Supporters’ Shield in their final season. However, since then, there has been no MLS team in the area, with the closest franchise operating in Orlando. The newest MLS franchise has been confirmed as the league’s 25th team at a press conference January 29. Co-owner Jorge Mas had earlier mooted the January 2018 date, indicating that the latest MLS expansion team would be finally introduced to the world. “We had super, super productive meetings in Kansas City,” Mas told the Miami Herald . “I’m very excited for what we can bring the Miami soccer fan, and we’ll have some big news to announce in Miami in the near future. Who owns the Miami MLS team? David Beckham is just one owner of the Miami team, and is part of an ownership group called Miami Beckham United. The group also includes American Idol producer Simon Fuller, Sprint CEO Marcelo Clure and former Toronto Maple Leafs owner Tim Leiweke. Beckham’s group also includes Los Angeles Dodgers owner Todd Boehly, as well as Jorge and Jose Mas of MasTec and SoftBank CEO Masayoshi Son. The latter three joined the group in December 2017, taking its total member tally to eight. When Beckham moved to the LA Galaxy in 2007, he received a purchase option from MLS which would allow him to establish a future franchise for $25 million rather than the usual $150M cost. In 2014, he decided to exercise this option, and has been granted permission by Miami-Dade County to build a new stadium in downtown Miami. What is the name of Beckham’s MLS team? It was announced on September 5 that the team will be called Inter Miami CF. Previously, the names Miami Vice and Miami Current were used when referring to the franchise in presentations. The name Miami Vice was a reference to the 1980s television crime drama, which was re-made as a Hollywood film in 2006 with Colin Farrell and Jamie Foxx. It had also been believed that Beckham might pay tribute to his playing career with Manchester United and call the team Miami United, but there was already a semi-professional team in the city with the same name. U.S. website BigSoccer ran a poll in 2016 where fans could vote on the team’s name, with 26 percent choosing International Miami or Inter Miami ahead of other options like Athletic Miami, Athletic Club Miami and AC Miami. It is a name that reflects the multicultural diversity in the city. The Miami team is just one of five new expansion teams as Major League Soccer looks to expand to at least 24 teams by 2020. It aims to further increase this amount to 28 over the next decade. As well as Miami, new teams were created in Atlanta, Los Angeles, Minnesota and Nashville as part of the latest expansion. Atlanta United began playing in MLS in the 2017 season, finishing fourth in the Eastern Conference in their debut campaign. Minnesota United also played their first MLS games in 2017, finishing ninth in the Western Conference with just 10 wins from their 34 league games. Los Angeles FC are due to join the Western Conference for the 2018 MLS season, and drafted Joao Moutinho with the first pick of the MLS SuperDraft. The Nashville franchise could begin playing in MLS as early as 2019, but will likely not join until 2020 at the earliest. The league has confirmed Miami will begin play in the 2020 MLS campaign in a temporary stadium. What is an expansion team? Miami will become Major League Soccer’s 25th team, with the league having expanded multiple times since its foundation in 1996. When it began, MLS had just 10 teams, but had expanded to 12 teams by 1998. Tampa Bay Mutiny and Miami Fusion both left the league in 2002 due to financial reasons, returning MLS to 10 teams. Following the success of the United States at the 2002 World Cup, MLS began to grow again, with many more teams joining as it expanded multiple times. New teams joined every year between 2007 and 2011, and by 2016, the league comprised of 20 teams. By 2020, the additions of Atlanta United, Minnesota United, Los Angeles FC and a new franchise in Nashville will see MLS have 24 teams competing for the title. In December 2017, the Nashville expansion team was announced as part of the next phase, with the aim of growing the league to 28 teams. The 24th team will play at the Nashville Fairgrounds in Tennesse, where there are plans to build a new 27,500-seat stadium. Who plays for Inter Miami FC? Beckham himself is now 42, so, unfortunately, he is probably too old to play for his own team. It is also unlikely that he will take up a managerial or coaching role with the team, preferring to stay behind the scenes with the other owners. As of yet, there are no confirmed players for the team, but when they enter Major League Soccer, they will likely have roster allocation for eight non-domestic players under the current MLS International Roster Slot rules. They can expand or reduce those slots by making trades with other MLS teams. Miami will also be allowed sign three designated players, whose salaries are not counted towards the MLS salary cap. When LA Galaxy signed him, Beckham was a designated player. They will also be eligible to take part in the MLS SuperDraft ahead of their first season, which sees expansion teams given the first overall pick. Recent reports from the Daily Mirror suggests that Carlo Ancelotti is top of Beckham’s wishlist in regards to a manager, though current Real Madrid boss Zinedine Zidane has also been linked. Cristiano Ronaldo and Wayne Rooney are just two of the names to have been rumoured to be on Beckham’s radar. Inter Miami FC are currently without their own permanent stadium, though plans are being made to build a venue for the team to play in by 2020, and to open the 2021-22 season at their new home. The current proposal for an Inter Miami FC stadium is a 25-000-seat venue forming part of Freedom Park, a complex near Miami International Airport. Approval for construction of the ground, however, will depend on the outcome of a public vote held in November 2018. Plans include for the stadium to be built on 131-acre public land, including more than 1,000,000 square feet of combined office, retail and commercial space. There are also plans to expand to the hotel industry, with 750 hotel rooms, 23 acres reserved for public soccer fields and the remaining 58 acres being turned into a public park. Other locations in Miami were also being scouted, such as areas like Dodge Island at PortMiami, the Downtown Miami waterfront at Museum Park, and private sites in Miami’s Overtown. Can you try out for Inter Miami FC? When the new team is fully founded, it will probably be possible to tryout for a spot on the youth roster. Many Major League Soccer clubs hold open tryouts for their reserve and junior teams in order to find new talent from the local areas and further afield. 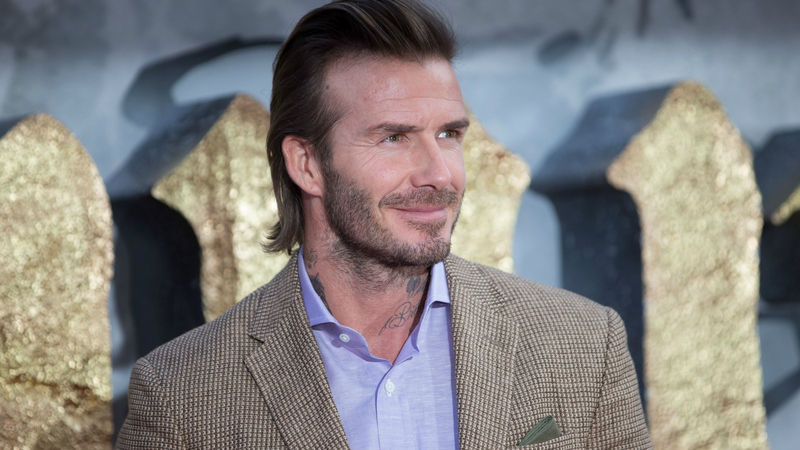 For example, Beckham’s former club, the LA Galaxy, held open tryouts in Los Angeles in January 2018, and had sessions in South Korea and in London and Manchester looking for worldwide talent to join LA Galaxy II. The tryouts are usually open to males between 18 and 25 and involve matches, drills and other events to assess player ability. They are attended by the club’s scouts who are looking to identify future stars or squad members.